The Lanyu – 3 Stories continues Tsai’s exploration of the relationship between nature, spirituality, and ritual through an examination of the Tao tribe from the Lanyu Island of Taiwan. 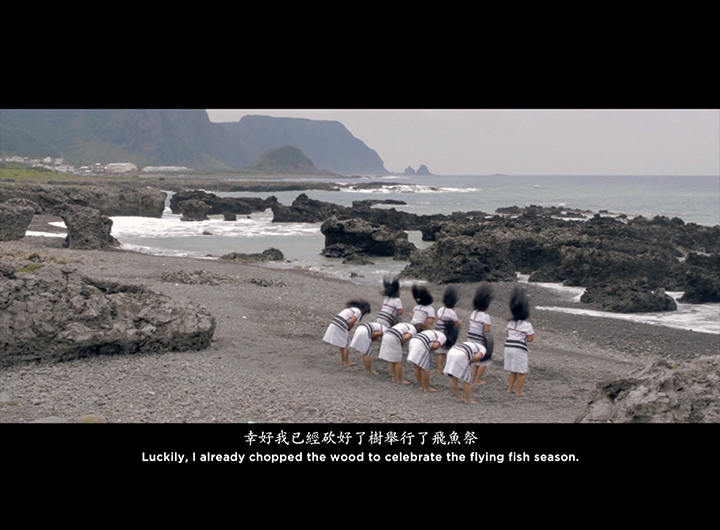 This series consists of three videos: Hair Dance, Lanyu Seascapes, and Shi Na Paradna. Hair Dance focuses on women from the Tao tribe and their performance of ritual dance, one of which involves using their sensuous long hair to emulate the movement of waves, as a way to ensure the safe return of their men from the sea. Lanyu Seascapes captures the unpredictability of the sea that the natives have learned to live from moment to moment with. While Shi Na Paradna portrays a tale of a boy who lost his soul to the sea and his grandfather performed a ritual of call his soul back from the sea.